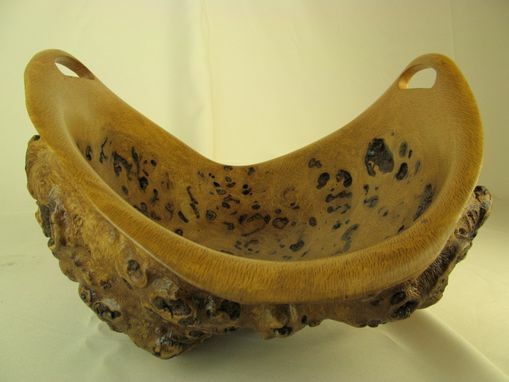 We have featured in this sale a large white oak burl bowl or basket . This a highly unusual piece. 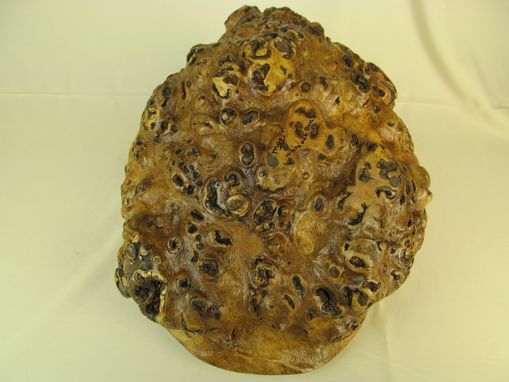 Seldom does one find a burl as large as this which is at the same time as compelling. Not being round is a feature of this bowl which puts it ahead of the pack. 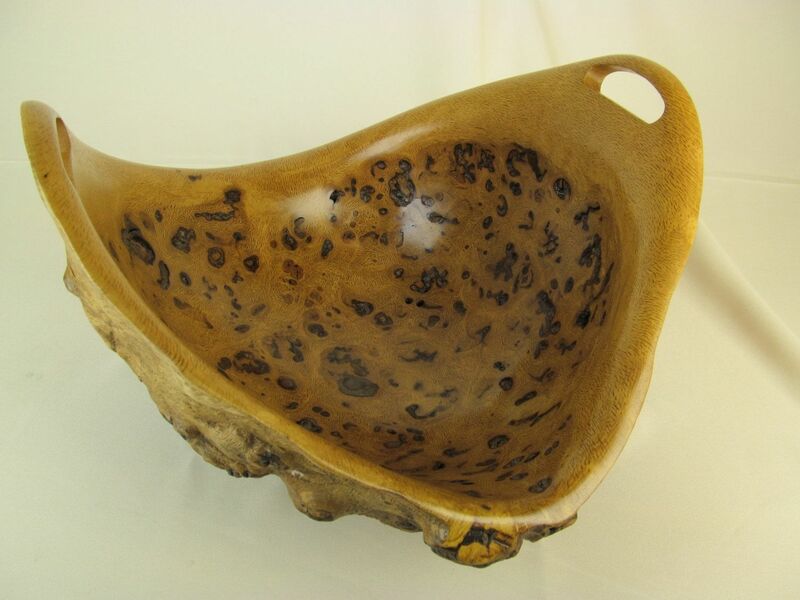 It's artistically sculpted out of round shape allows for the addition of handles which have the effect of transitioning this work in the eye of some from a bowl to a basket. 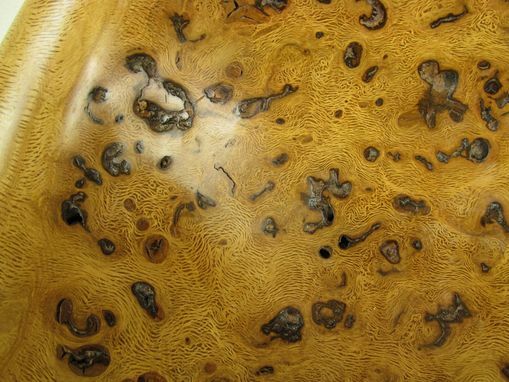 The exterior of the bowl is covered with a profusion of what appear to be smaller burls.This out of the ordinary feature of the piece brings with it an extra dimension of delight and establishes that it is clearly one of a kind.The burl measures just under 10'' high at the higher of the 2 handles, slightly over 14'' from handle to handle, and is approx. 16 1/4'' from from edge to edge below the handles. 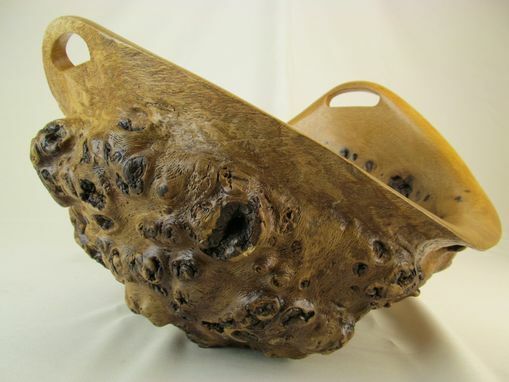 It is large enough to serve as a stand alone item for display and yet small enough to be grouped with other elements in order to accent your home decor. Either way it will always serve as a conversation piece.